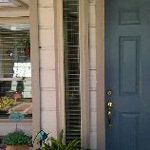 Welcome to RC Windows & Doors Service, providing quality window and door services in the Dallas/Fort Worth, TX area. We provide residents of the Dallas/Fort Worth and surrounding cities in the Texas area with superior quality window and doors. Our certified professional installers have decades of experience and are fully trained to provide you with the solutions you need - at the price you deserve. Whether you wish to save energy, provide comfort and security, or simply want to add value to your home or office, RC Windows & Doors Service is here to help. All you need to do is give us a call today and we'll take care of the rest soon. In the meantime, feel free to take a look around our website to learn more about what we can offer you. If you have any questions or concerns, please don't hesitate to contact us at any time. Copyright © RC Windows & Doors Service, 2011. All rights reserved.